Royal blue coloured velvet pouch to safely keep your coin protected. They are great for presentations and gift wrapping of coins. 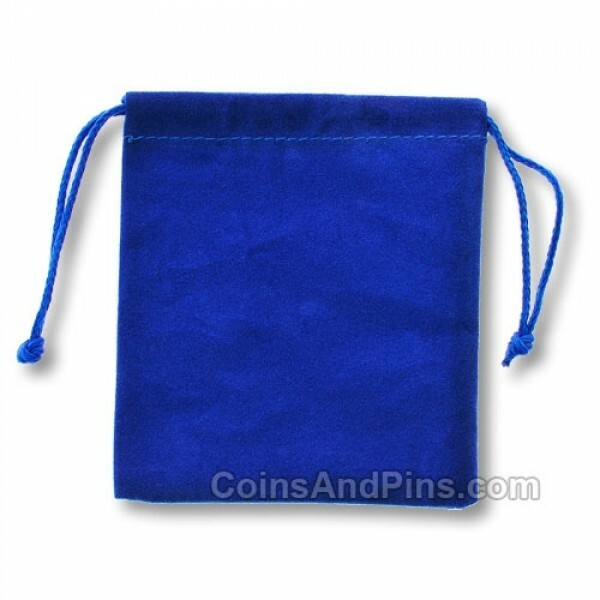 Instead of wrapping your gift coin in paper, you can offer it in this sophisticated looking velvet coin bag with its eloquent draw strings.